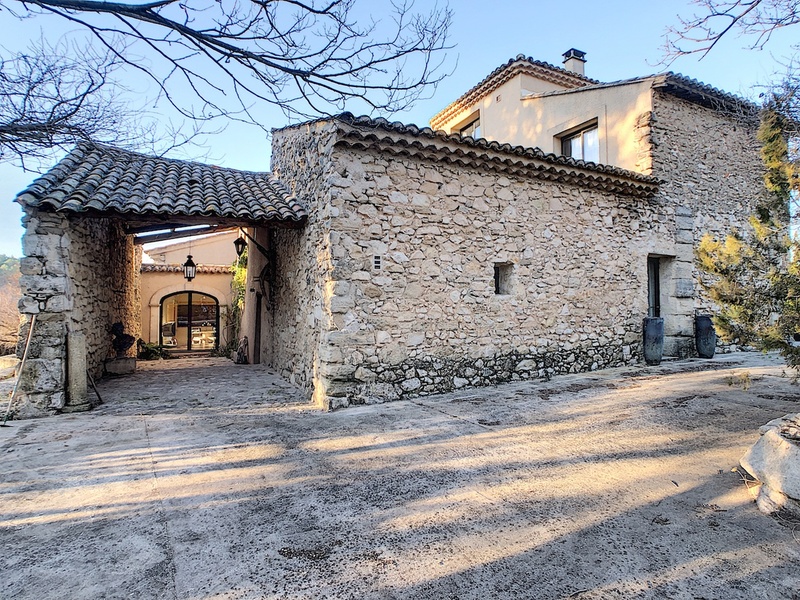 Ancient farmhouse overlooking the Mont Ventoux in Provence : 5 minutes away from the village, farm house from the 17th extended over the centuries up to 445m ² including a main house with 2 large living rooms of 60 and 75m ², equiped kitchen, laundry and 5 bedrooms suites. Independent cottage with 3 rooms for 49m ² with independant access and 2 more extra bedrooms . Beautiful pool with 2 basins 14m x 7m and 6m x 6m with pool house in the middle of the park .There is also a tennis court that can be rehabilitated. The park of 7.500m² planted with Mediterranean species is watered with a drill and the water of the canal. Ideal large family or activity cottage and bed and breakfast. A unique, quiet, full vineyard at the foot of Mont Ventoux ! Access highway 20 min, TGV 35 min and Marseille Provence international airport 01h.